When a very lonely firefly goes out into the night searching for other fireflies, it sees a lantern, a candle, and the eyes of a dog, cat, and owl all glowing in the darkness. It even sees a surprise celebration of light. But it is not until it discovers other fireflies that it finds exactly what it’s looking for–a surprise sure to bring smiles to anyone who turn the final page! 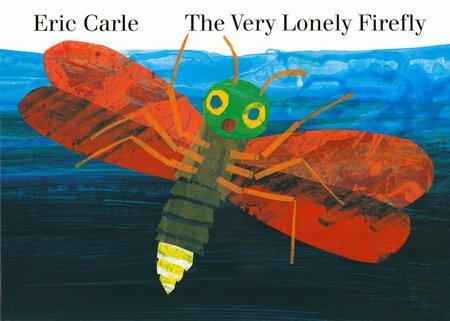 Lushly illustrated with Eric Carle’s trademark vibrant collage art, soothingly told with a gentle read-aloud rhythm, and complete with a surprise sure to “light up” children’s faces, The Very Lonely Firefly will fast become a storytime favorite. 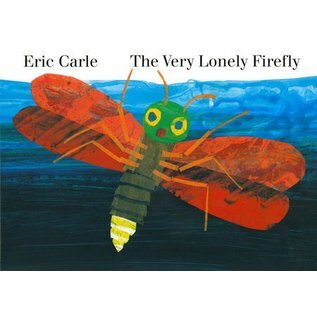 Read it with a flashlight in the dark or under the table–and watch those fireflies glow!